Imagine you are nine years old, sleeping soundly in your warm bed. Before going to sleep you went through the normal bedtime ritual of brushing your teeth & washing your hands & face. Your mother came in to read a story. When you wake up, you’ll eat breakfast & then go to school like you do every other day. You’re suddenly awakened by loud banging coming from the front door. You’re not fully awake yet, but then you hear the door crash to the ground & people running in. As you bolt upright, your mother rushes in & grabs you by the hand. She leads you downstairs to the living room where you see your father shouting at a group of men who are all dressed in brown shirts & carrying axes & knives & broom handles. One of the men hits your father with the end of a knife across the forehead, & he begins to bleed. “Daddy!” you shout, & rush to his side. The other men begin to smash the tables & chairs & rip the upholstery of the couch. The hoodlums break the windows facing the street & begin to pull the family’s books from the shelves & throw them out the window. You can hear the sound of dishes breaking in the kitchen as another intruder pulls everything from the cabinets & throws it on the ground. The man who hit your father says, “You’re under arrest. Come with me!” “Why are you taking him? He hasn’t done anything wrong,” you cry as you rush over & cling to his leg. Now the man comes toward you & grabs you by the arm & roughly throws you to the ground. Before you can move, you see your father being pulled out the door & pushed down the stairs; he trips & rolls to the bottom. The other men follow, pausing only to throw a glass lamp onto the floor where it shatters. Your mother begins to cry, & she bends down to hug you. Over her shoulder you can see smoke rising from the synagogue burning down the street. The store windows of the Jewish businesses nearby are all broken, & people are walking out of the stores with clothes, jewelry, & groceries. People are shouting & laughing amid the sound of glass shattering. It is a night you will never forget. Later, people will call it Kristallnacht. On November 9th & 10th, 1938, rampaging mobs throughout Germany & the newly acquired territories of Austria & the Sudetenland freely attacked Jews in the street, in their homes, & at their places of worship. At least 96 Jews were killed (Read & Fisher say the number at least 236, including 43 women & 13 children) & hundreds more injured, more than 1,300 synagogues were burned (& possibly as many as 2,000), almost 7,500 Jewish businesses were destroyed, & countless cemeteries & schools were vandalized. No estimates were available, but untold amounts of precious commodities, such as artworks, were lost as hooligans destroyed whatever they saw without regard for its value. A total of 30,000 Jews were arrested & sent to concentration camps on those days. At least 4,600 Viennese Jews were sent to Dachau. 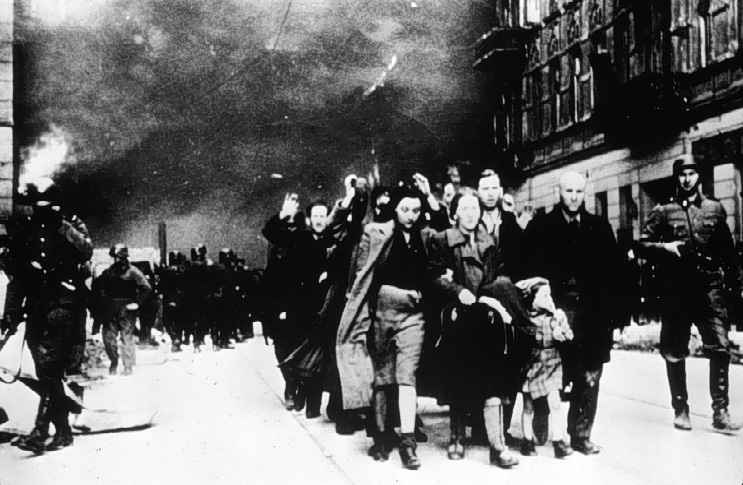 About 2,500 Jews were arrested in Hamburg & transported to Oranienburg. 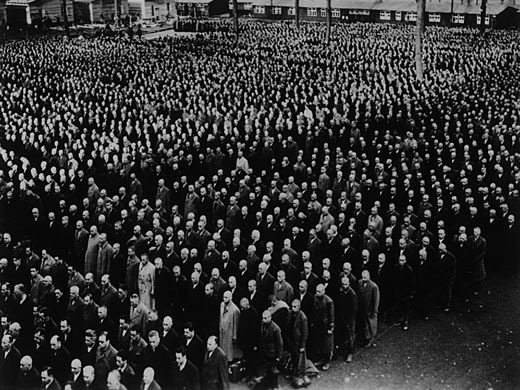 Another 2,621 Jews from Frankfurt were sent to Buchenwald. The average period of imprisonment was four to six weeks for older men & longer for some of the younger Jews. More than 5,000 people died in Buchenwald, Sachsenhausen, & Dachau in the aftermath of the pogroms. Tens of thousands more German & Austrian Jews would die in the camps during the war. The Germans initially referred to the 48 hours of mayhem as the “Jew Action.” No one is sure when it originated, but the term “Crystal Night” or Kristallnacht (or, less commonly, Reichskristallnacht) eventually came to be the term associated with the pogroms of November 9-10, 1938, because of the widespread destruction of windows that left shattered glass throughout the streets. Many Jews & scholars; however, find the term offensive & object to its use. As Walter Pehle wrote, “It is clear that the term Crystal Night serves to foster a vicious minimalizing of its memory, a discounting of grave reality; such cynical appelations function to reinterpret manslaughter & murder, arson & robbery, plunder, & massive property damage, transforming these into a glistening event marked by a sparkle & gleam. The German night, whose observance after the passage of forty years has brought us together today, remains a cause of bitterness & shame. In those places where the houses of God stood in flames, where a signal from those in power set off a train of destruction & robbery, of humiliation, abduction & incarceration – there was an end to peace, to justice, to humanity. The night of November 9th, 1938 marked one of the stages along the path leading down to hell. 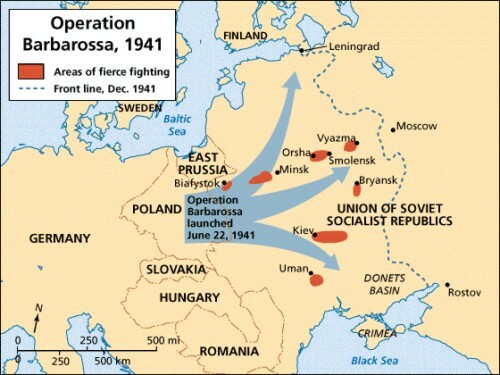 It would be more probable that the confirmation of the order to attack Dresden was given in a general spirit of compliance with the memorandum tabled at Yalta by the Soviet Deputy Chief of Staff, General Antonov, on 4th February, in which he suggested that the Western strategic bomber forces might deliver attacks on communications near the Eastern front. 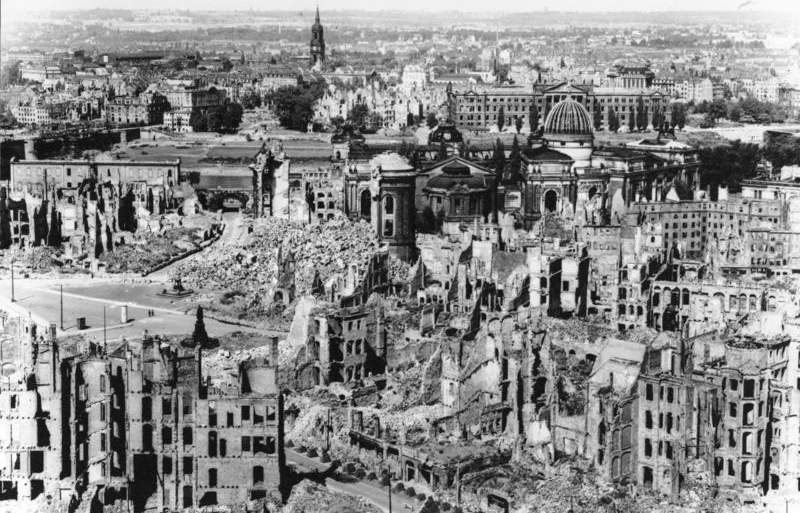 Zero hour for the second attack on Dresden was 1:30AM. 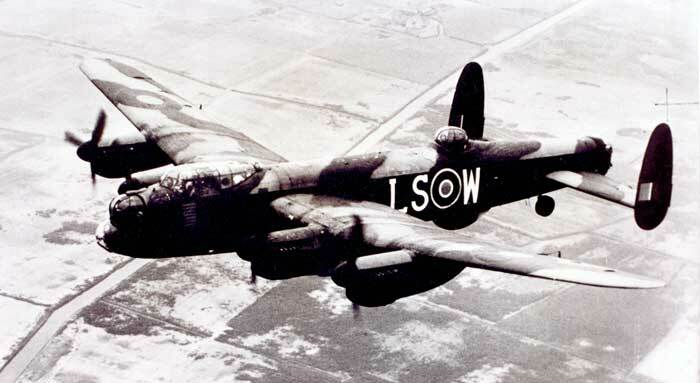 At 1:23AM the Blind Illuminator Lancasters released their sticks of flares across the aiming point, & at 1:28AM the Master Bomber arrived; to his horror, he found that the whole of the center of the city was being swept by a violent firestorm, making it impossible for him to identify the aiming point clearly. 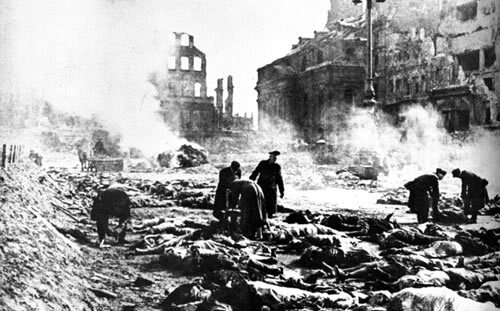 Richard Pireau barely knew Dresden. All he could have told you was the vague direction of the Großer Garten, a large park in the center of the city. Again & again, impassable craters blocked his path. The soles of his shoes had been scorched away long ago. But he felt no pain. All he knew was that the fiery storm raging round him would soon close into an impassable ring. Shortly after 1 o’clock, he finally reached the park, where thousands were scrambling to safety, weak & exhausted like himself. Suddenly he was startled by a scream from thousands of throats. Incredulously he stared at the sky. All four corners of the park were lit up by white “Christmas tree” flares. Richard Pierau dropped to the ground & hid under a park bench. He was gripped by icy fear. Then another load of heavy bombs came screeching down remorselessly & there were more incendiaries. Richard scrambled in the earth, as hundreds of bombs & mines ploughed up the park. Then suddenly he was blown into the air. He lost consciousness. When he came to the next day, he was lying among a heap of dead bodies about to be taken to a mass grave. 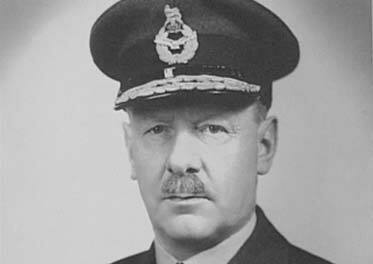 Churchill presented a minute to his Chiefs of Staff, in which he wrote: “It seems to me that the moment has come when the question of bombing German cities simply for the sake of increasing the terror, should be reviewed.” But Air Marshall Portal, Chief of Staff of the RAF, forced Churchill to withdraw his minute. As the 1930s wore on & Nazi Germany grew ever stronger, Britain & France continued to rearm, but they were still loath to threaten force against Hitler. This encouraged Hitler to become increasingly aggressive in the territorial demands he made from Germany‘s neighbors. Throughout 1937, the Germans fomented trouble in Austria through their Nazi cells. Matters came to a head in January 1938. Hearing of an assassination plot against him, Chancellor Schuschnigg ordered his police to raid a house used by a Nazi cell. They found plans for a Nazi revolt, which would provide the excuse for German forces to enter Austria to prevent Germans fighting Germans. Horrified by this, Schuschnigg went to Germany to complain in person to Hitler. He was forced to listen to a lecture on the treatment of the Austrian Nazis. Hitler then demanded that all Austrian Nazis be released from jail & that the head of the Austrian Nazis be made interior minister & another Nazi sympathizer defense minister. Furthermore, Austria’s economy was to be absorbed by that of Germany. The Austrian chancellor refused to give in to these demands & organized a referendum of the Austrian people over whether they wanted to maintain their independence or accept Anschluss with Germany. 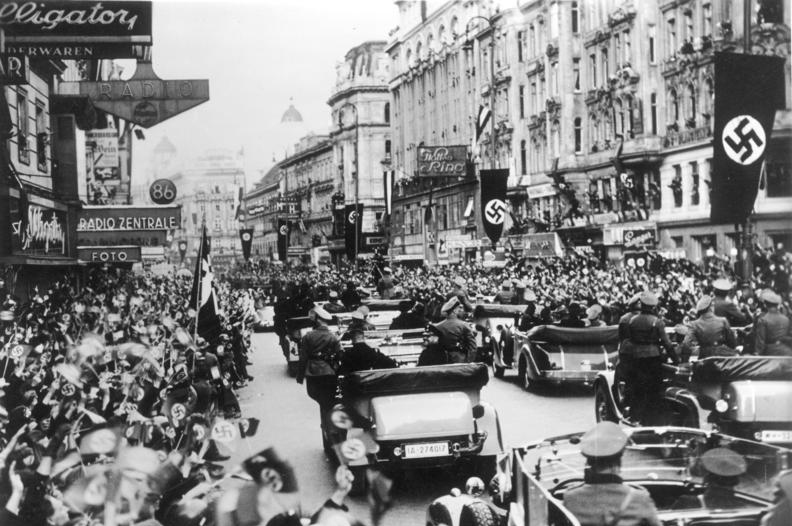 Fearful that the vote would go the wrong way, Hitler ordered his troops into Austria on March 12th, the eve of the referendum. The Austrian Nazis had done their work well. The German soldiers were greeted by cheering crowds & there was no attempt to oppose them. The following day Schuschnigg resigned, was arrested, & spent until the end of the war in concentration camps. Anschluss had been achieved with Austria now little more than a province of Greater Germany. Britain & France made diplomatic protests over the annexation of Austria, but that was all. Neither was prepared for war &, in any event, there appeared to be little protest by the Austrian people themselves. The British & French soon had to face another crisis provoked by Hitler. During 1937, Hitler had also set sights on Czechoslovakia, a new state created by the Treaty of Versailles, & had drawn up plans for a surprise attack on it. The annexation of Austria meant that the Czechs were now surrounded on three sides by Germany. Hitler made his first move almost as soon as Austria had been secured. The Sudetenland, the westernmost part of Czechoslovakia, had a sizeable German population, & Hitler instructed its leader, Konrad Henlein, to campaign for greater autonomy. He also began to threaten Czechoslovakia, which mobilized its armed forces & called on its ally, France, for support. The French turned to the British & prime minister Neville Chamberlain went to Prague to try to persuade Czechoslovakia’s president, Eduard Benes, to agree to Henlein’s demands. The Germans, meanwhile, concentrated troops on the Czech border. Hitler told his generals that he would take military action if the matter had not been resolved by October 1938. Hitler continued his saber-rattling & this resulted in an uprising by the Germans in the Sudetenland in mid-September, which the Czech army quickly crushed. Fearful that Hitler would now invade, the British prime minister, with French support, decided that he should meet Hitler in person to defuse the situation. In the meantime, both Britain & France carried out a partial mobilization. Chamberlain felt strongly that Sudetenland was not worth the horrors of another European war. Through the Munich Agreement of September 1929, the German parts of Sudetenland were exchanged for a declaration by Hitler that he had no further territorial ambitions. The agreement was signed by Britain, France, Italy & Germany, but the Czechs had no say in the matter. On October 1st, German troops marched into Sudetenland, while Chamberlain returned in triumph to Britain, declaring that he had secured peace. The British & French expressed wholesale relief that war had been averted, but Hitler was frustrated that he had been denied the opportunity to deal with the Czechoslovakian problem. While Hitler planned his next moves on the European stage, attention in Germany & outside it turned to a new dramatic phase in the persecution of Jews. 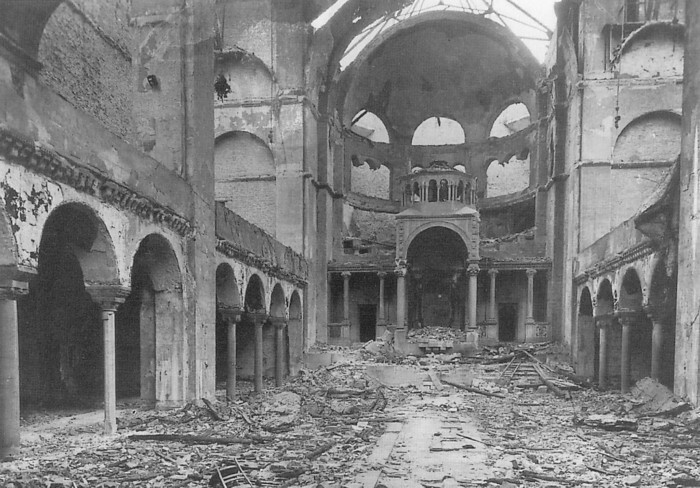 The night of November 9/10, 1938, which became known as Kristallnacht, saw the most widespread & concerted outbreak of violence yet directed against Germany’s Jews. 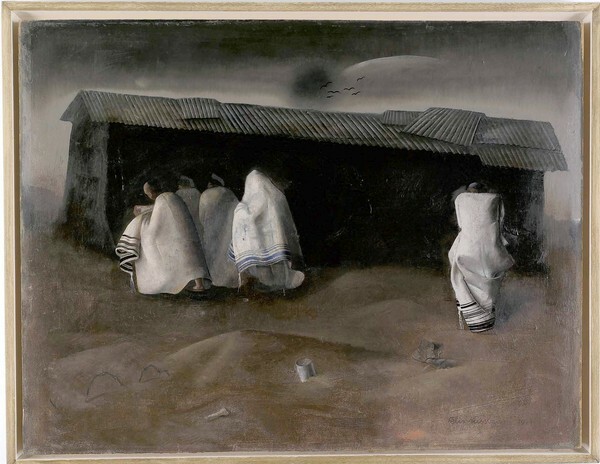 With a 10,000-piece Holocaust-era collection & growing, Yad Vashem in Jerusalem leads the effort to conserve & display works by persecuted artists. Reporting from Jerusalem — Most people skip the little art gallery at Israel’s Holocaust Museum Yad Vashem because they think it will be too depressing. After an emotionally draining tour through a maze of testimonies & artifacts, few have the stamina to look at so-called Holocaust Art, which seems to promise only more dark images of death & destruction: skeletal shapes emerging from smokestacks, hollowed eyes looking through barbed wire, piles of emaciated corpses. The Western democracies had, apart from the US, been exhausted by World War I. They were convinced that Europe could never afford another such conflict & pinned their hopes on the League of Nations & disarmament. They also had to weather severe economic depression. Following the signing of the Treaty of Versailles in 1919, the principal aim of the Western democracies was to switch from a wartime to a peacetime economy. This meant demobilizing most of their snow swollen armed forces & converting their munitions industries to the production of non-military goods. For the US this was easier than for Britain & France, since its late entry into the conflict meant that its munitions industry had hardly been established on a wartime footing. At the same time, especially, through loans to its European allies, its economy had been made stronger by the war. The United States also had few overseas possessions, so it could reduce its armed forces to the bare minimum. While it encouraged international disarmament, it otherwise adopted an isolationist foreign policy, refusing to join the League of Nations & turning in on itself. The US became gripped by a “get rich quick” mentality. Set against the freneticism of the Jazz Age, Americans in increasing numbers began to gamble on the stock market, whose rapid growth reflected an ever expanding economy. For Britain & France, the transition from war to peace proved to be much more difficult. Both economies had been drained by over four years of war. France’s manpower, in particular, had been gradually diminished, & a significant portion of the country, especially the industrial north, had been devastated. But like other European countries, France was bedeviled by a series of weak governments, usually coalitions of Left or Right. Some trade unions were vehemently Communist & took their line from Moscow. 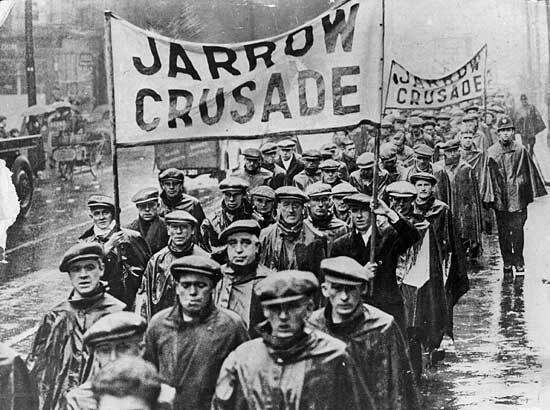 Strikes were a frequent occurence & the economy remained fragile. When the Popular Front, a left-wing coalition led by the socialist Leon Blum, was elected in 1936, the immediate response of the more combative industrial workers was to occupy their own factories. The coalition government had to award them all pay raises in order to persuade them to go back to work. In terms of foreign & defense policy, French governments of all shades were determined that never again should Germany be allowed to invade, as it had done twice within the past century. One strategy was to encircle Germany with alliances. Thus the French supported Poland from the outset, but left-wing governments also reestablished a rapport with Russia. Alliances were also made with states in southeast Europe. As for Germany itself, successive French governments alternated between insisting on the terms of the Versailles Treaty being followed to the letter to a more conciliatory attitude over reparations. As a physical deterrent to any future German invasion, the French came up with a plan to construct a line of modern fortifications along their eastern frontier. This was to be called the Maginot Line, after defense minister, André Maginot, who had been badly wounded during World War I. By 1930 work had started on it. It was to consume a massive portion of the French defense budget & would become not just a physical barrier, but a psychological shield behind which the French people felt safe & secure. The false & demoralizing notion… that once we have fortifications the inviolability of our country is assured. Britain had not suffered France’s physical devastation but was equally exhausted by the end of the war. The government’s dream was to create a “land fit for heroes” & for a short time there was an economic boom, but it did not last. Traditional British industries fell into decline, with overseas customers having developed their own during the war. Coal had been a major export, but with oil now taking over from it there was no longer the markets for coal that there had been before 1914. High interest rates deterred new business start-ups & the result was a massive increase in unemployment. Spending on postwar reconstruction also had to be drastically cut &, as in France, industrial relations worsened, with strike action becoming commonplace as workers struggled to protect their jobs & wages. The British defense budget suffered along with all other areas of public spending. The government introduced a rule that defense planning was to be done on the premise that there would be no war in Europe for ten years at least. The Ten Year Rule, as it was called, was renewed annually throughout the 1920s, after which it was reduced to five years. Priority was given to the defense of the empire, in particular India, & policing the former Turkish possessions of Iraq, Transjordan, & Palestine. Consequently there was little left to spend on the armed forces for British home defense. In October 1929 came the Wall Street Crash, when the US stock market bubble finally burst. Tens of thousands of Americans were made bankrupt overnight, banks collapsed, & the country went into deep recession. The shock waves of this quickly spread around the world & the struggling European economies were badly affected. It was little wonder that the Western democracies were in no position to counter German, Italian & Japanese aggression. Franklin D. Roosevelt, elected to his first term as US president in 1933, introduced his New Deal, based on public work & relief for the poor, in the following year. But the US economy did not recover fully until, like the economies of Western Europe, it was once more on a war footing. A new exhibit at the United States Holocaust Memorial Museum in Washington, DC, examines “how the Nazi Party used modern techniques as well as new technologies & carefully crafted messages to sway millions with its vision for a new Germany.” Reason.tv’s Michael C. Moynihan visited with museum historian & curator Steve Luckert to discuss the role & effectiveness of propaganda in the rise of fascism & what lessons can be drawn from the Nazi experiment in mass manipulation. To visit the exhibit website click here.